At Bellavista Cloud Forest Resort in Ecuador, I tried photographing birds. Birds, flowers and other odds and ends. I am probably too impatient to shoot birds. But Bellavista’s birds seemed to have the patience I lack. So we got along quite well. 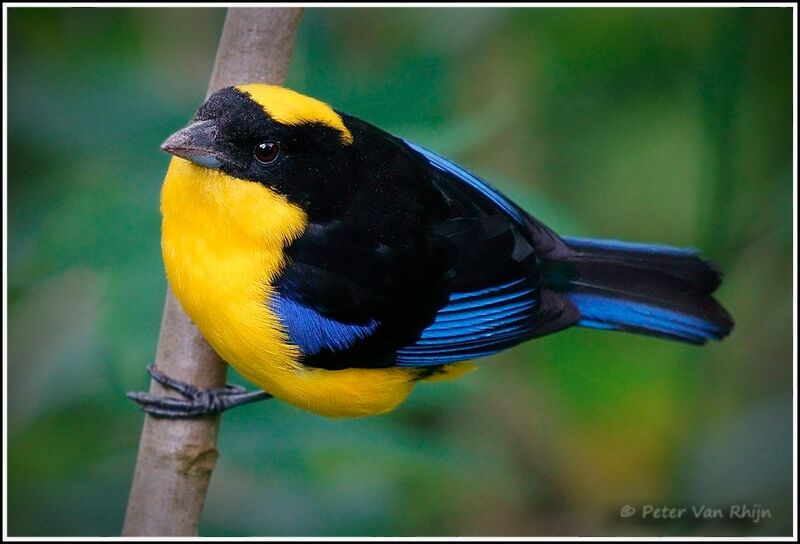 Here is the Blue-winged Mountain Tanager. Handsome fella I’d say. This image was made with my 70-200 Sony zoom. ISO 1000, f4.5, 1/250 sec. Tripod. A longer lens might have come in handy here. Ingredients in this image: simplicity, high impact colour, a nice shape for the eye to follow and a highly unusual subject: a patient bird. Refer to The Ingredients on my website.